Touring Car Racing, just like many other modern racing competitions, depends on data collected on the track. If you’re into touring car racing, you’d have heard about the TCR International Series. And if you heard about the TCR International series, you’d have probably heard about the Swedish WestCoast Racing Team. And if you heard about WestCoast Racing, you’d have heard about the driver Mikhail Grachev. And if you heard about Mikhail Grachev, you’d probably realize by now that he is one of the best drivers in the Series, with four victories already in his pocket this season. 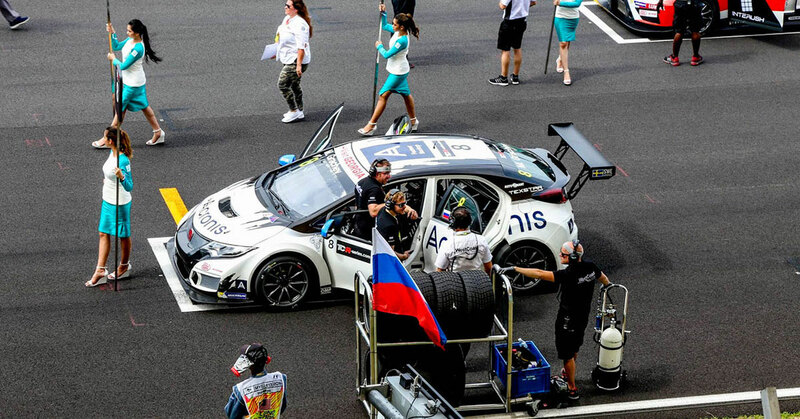 Acronis sponsored Mikhail Grachev for the Malaysian Round of TCR International Series held alongside the Malaysia Formula One Grand Prix at Sepang International Circuit last weekend. Here is what the driver says about the role of data in the motor racing industry and the importance of using the fastest data protection technology in a sport that’s all about speed. 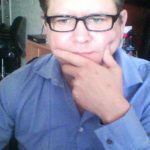 Mikhail, could you tell us about the role of IT in TCR? Touring Car Racing, just like many other modern racing competitions, depends on data collected on the track. We have about 20 people in our team — a combination of drivers, mechanics, and racetrack engineers — who calculate our next move based on information gathered during the race. Most of this data comes from the telemetry sensors fitted in our cars. My car, Honda Civic Type-R TCR, has over 50 of such sensors. As soon as I start the engine, each sensor starts logging data automatically. Then, when the race is over, our engineers download the data from the car to a local computer for processing and analyzing. 50 sensors may not sound like much, but they do generate a lot of data! All systems operational. Five minutes before the race. 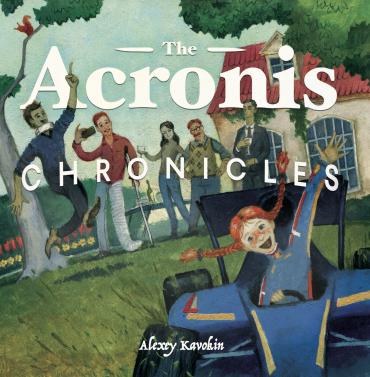 © Acronis. Is this telemetry data also transmitted live to your engineers during the race? No, it’s not live. The data is only recorded on storage devices inside the car and downloaded for processing in the garage. We use software from MoTeC Engine Management and Data Acquisition Systems. Some of it runs in the car and some on the computer. It is a great telemetry analyzing tool. It has a lot of channels to collect and process different types of data depending on what you want to do. So what telemetry data are you, as a driver, interested in? All telemetry data is valuable, it’s the winning force in racing. For example, telemetry helps me to understand how to take racetrack corners in the most efficient way: what gear to use, when to brake, how long to brake and so on. Before each race, we discuss information like that with our engineers. They show me a dot on the map where I should brake, then guide me with something like, “brake 10 meters later than you did before,” or “don’t be too aggressive on the brake, don’t lose too much speed,” or “move the brake balance a little more to the front (make the front wheels break earlier than the rear),” and so on. Why is it important? It’s important because knowing this information helps you to become one with your car, it enables synchronization, developing an extra sense of how your actions control the car’s behavior. This is what brings you to success. So we analyze, clarify, and discuss the telemetry data together with our engineers. Then we take our cars to the track with a perfect understanding of what is required of us. What if it’s a new racetrack where you’d never raced before? Luckily, we have modern technology and computer simulators. They allow us to upload the track map, weather conditions, car parameters, and run some virtual calculations. Of course, it’s never the same compared to driving on the real track, but sometimes it’s all we have. Our simulators are not as perfect as the ones available to Formula One drivers, but our series is still developing and we’re getting there. We use simulators to run through the track, learn the corners, lanes, braking points, and work out the top speed. Then we start working with real data, after the first session on the actual racetrack. The race is on. 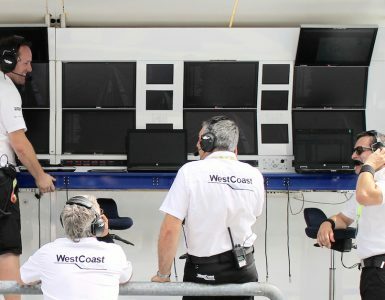 WestCoast Racing engineers busy at work. © Acronis. When TCR International Series support Formula One races, do you use any of the standard FIA services on the racetrack? 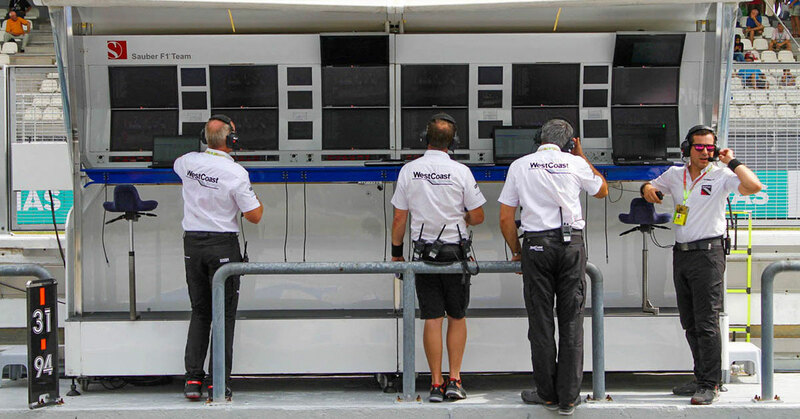 We use the pit lane and trackside monitors. And the standard services such as timing and video feeds. As for GPS, our cars have our own sensors which record the GPS data and help us plot the car movements on the map. What type of IT infrastructure do you have in the garage? Our IT infrastructure is very simple. We don’t have any servers, only a few laptops per car, plus a data storage device, which has all historical telemetry data. When the car returns to the garage, we download the data to laptops, analyze it, and then copy to that device. One of the biggest challenges we have is managing and protecting our data. The storage device that we have is sometimes difficult to use. Not to mention that it’s susceptible to physical damage and hardware failures, because it travels in our cargo containers with everything else. It’s also getting slow, making it difficult to find what we need, which is very dangerous, because it’s absolutely critical for us to be able to recover data as fast as we can, especially during the racing weekends. We always thought that it would be nice to have some sort of cloud-based storage where our data would be accessible and protected at the same time. Mikhail Grachev and his Honda Civic Type-R TCR. © Acronis. In what way do you think Acronis can help? Acronis has the fastest backup on the market and extensive experience working with motorsport teams. Acronis Backup has lightning fast data restore capabilities and secure cloud storage that is able to free up our team’s resources and dramatically improve our data management. With Acronis’ data protection, hard work and determination, we’ll be able to reach new goals in racing. Focusing on speed, innovation, and being #1 in what we do, we share common values with Acronis. We look forward to our successful future together. 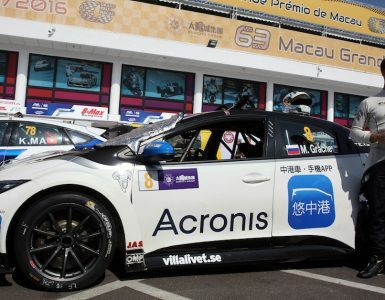 For the second time this season, Acronis got involved in the TCR International Series, sponsoring Mikhail Grachev, a promising driver from the Swedish team WestCoast Racing.